Despite a political backlash against climate change, most obviously in President Donald Trump’s wholesale rejection of the Paris Agreement in 2017, there is absolutely undeniable evidence that the world is warming up. Data centers, like other industries, have been labelled as a contributor to global warming. There they sit, using power generated by fossil fuels in their racks, burning even more energy in their cooling mechanisms, and releasing dissipated hot air into the atmosphere. Meanwhile, there is a growing demand from the public - enterprise and consumers alike - to know more about the connection between data that sits in the cloud and where that data ‘lives’ in the physical world. It’s a debate about ethics, politics and governance, but one largely driven by an environmental awareness that is growing in spite of climate change denial in certain political quarters. 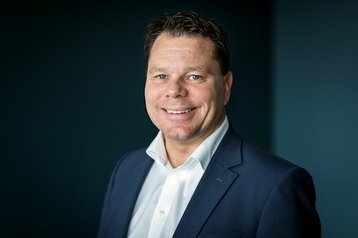 “Climate change is an enormous challenge for the data industry and both companies and consumers are now starting to realize the carbon footprint of digital use,” says Christoffer Svanberg, chief sustainability officer at Node Pole, a data center agency for actors looking towards Sweden. Node Pole is introducing a standardized “Fossil Free Data Label” for the industry, in order to quickly and easily allow enterprise users across the world to work out whether their data is truly “green” in terms of being curated in environments that minimize carbon emissions and use 100 percent renewable energy. Node Pole envisions the standard as a “tool” to directly contribute to climate action, and set a transparent standard for how to run a data center sustainably. “By using the fossil free data label, you stand out from competition and make it clear to customers and consumers that you handle data sustainably,” says Svanberg. The plan is to offer various yardsticks in the area of renewable energy, energy efficiency and in measurement of low-carbon emissions. 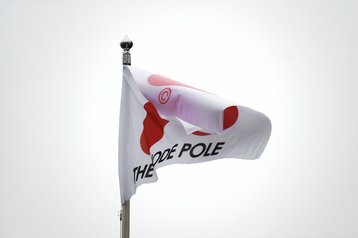 Essentially, Node Pole wants to see qualifying applicants meet a mark of 100 percent renewable energy for a data center, power usage efficiency (PUE, a ratio which improves as it counts down to 1) of less than or equal to 1.2, and carbon usage effectiveness (CUE) of 0.19kg CO2 emissions per kWh. The figures are based on the data center performance index (DCPI) from iMasons. These are measured in a variety of ways, ranging from green energy certificates for the renewable energy KPI, to self-collected data for CO2 emissions, or location-based data taken from the International Energy Agency. Node Pole is serious in its approach, namechecking Google, which is thought to serve more than 3.5 billion searches per day. A 2016 environmental report by Google reveals the company caused greenhouse gas emissions of 2.9 million metric tons of CO2 - but the company offset all of it to achieve its zero emissions target. If expressed as a country, the Internet itself would be the sixth largest consumer of electricity on the planet, with only the US, India, China, Japan, and Russia ahead of it. The Paris Agreement’s goal to reduce the risk of dangerous climate change can, it’s believed, be achieved if the presumption is taken that greenhouse gas emissions peak by 2020, but halve by 2030, and keep halving every decade until 2050. That essentially leaves 30 years to make a positive difference. “The consequences of missing this goal are potentially catastrophic for humanity,” Johan Rockström, director of Potsdam Institute for Climate Impact Research, has warned. Node Pole’s recently-published Green Data Survey doubles down on its claims, and legitimizes its concerns, collecting data from 4,016 people across Berlin, Stockholm, London, Los Angeles and Shanghai for a realistic global picture of sentiment. It reveals that only 11 percent of people in the world are unconcerned about climate change, while 58 percent are extremely concerned. The public say politicians bear 44 percent of the responsibility to make a change, and consumers another 27 percent, but it’s businesses – i.e. those who control and use data centers – that account for 49 percent of the responsibility, for improving the situation, the survey says. Just over half (55 percent) of those surveyed said they have now begun, in the last 12 months, to lower their own carbon footprint, and 66 percent say that they now see it as important that brands they choose to associate with make a positive impact on society. Any company could take this sentiment analysis, stick a slogan on it, and begin tempting customers in with marketing rhetoric alone. But Node Pole also collected data to back up the standards it wants to set in the Fossil Free Data Label. The report reveals that in 2015, 416TWh of energy was used by data centers globally. That’s more than the UK’s entire energy consumption that year. The vast proportion of fossil fuel within this figure amounts to a projection of 1.9 gigatons of CO2 emissions generated by data centers in 2025. Seeing as data centers are already estimated to generate up to two percent of global emissions, it’s a worrying upward trend. Customers are even prepared to pay more to ensure data centers are managed in a more environmentally friendly way. A massive 44 percent of those surveyed said they would pay up to 45 percent more for data center services that were greener. There have, of course, already been national standards for the carbon footprints of data centers – not least Singapore’s Green Data Center Standard, which was first published in 2011, and continues to see uptake. But Node Pole has wide leverage as a data center vendor with a stake in the international game. The Fossil Free Data Label represents a realistic set of standards which any DC supplier could endeavor to adhere to, and any of the growing global base of customers who have a genuine interest in the future of the planet should look out for it. “The amount of data centers in the world will grow tremendously in the coming years, and by ensuring that they are fossil free, the tech industry can avoid making the same mistakes as other revolutionizing industries and instead build a new sustainable sector that can change the world for the better,” says Svanberg.